tried his hand at filling out a NCAA March Madness bracket. He appeared on ESPN's SportsCenter alongside Andy Katz to walk through his picks. His winner? The North Carolina Tar Heels. 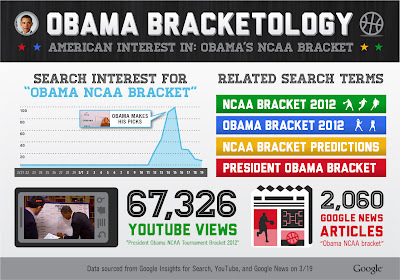 How did Obama's bracket perform in terms of search interest? 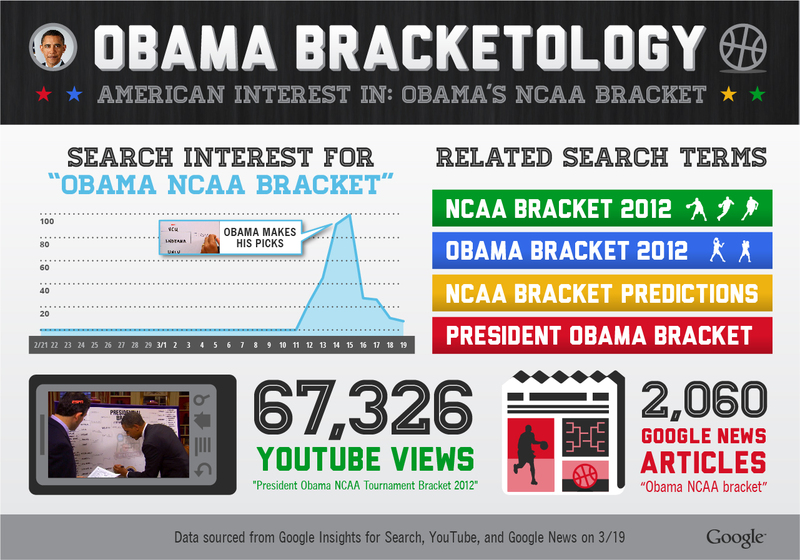 Turns out [Obama NCAA Bracket] was a breakout word associated with Obama. His bracket video has also seen over 67,000 YouTube views and coverage in over 2,000 news articles. On March 14, President Barack Obama tried his hand at filling out a NCAA March Madness bracket. He appeared on ESPN's SportsCenter alongside Andy Katz to walk through his picks. His winner? The North Carolina Tar Heels.